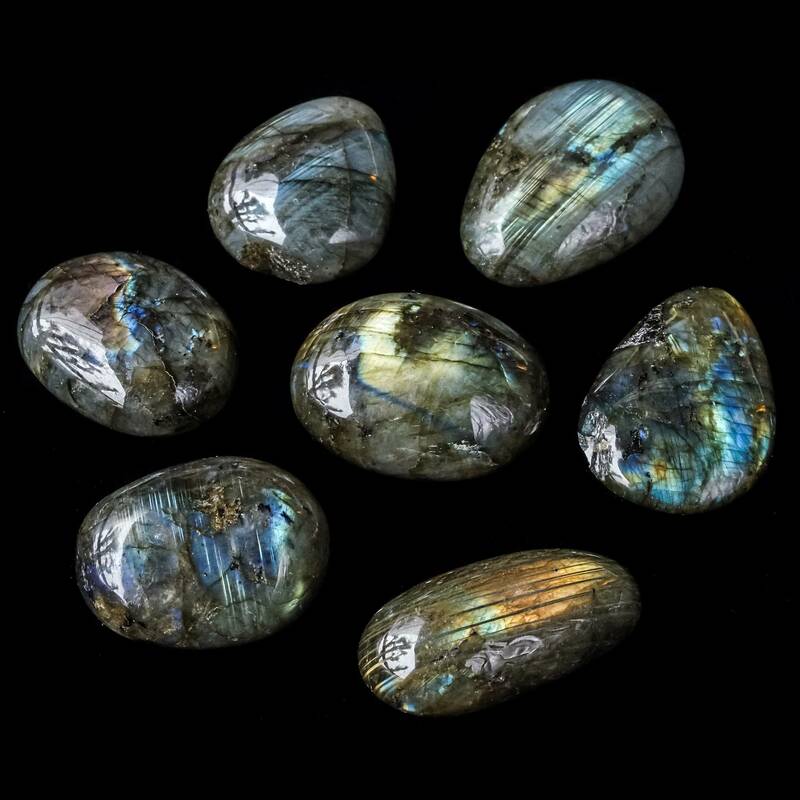 These A grade tumbled labradorite specimens are high quality and just absolutely stunning. The light catches and gleams off these striking pieces and illuminates the dark rainbow translucence of these stones in a way that completely takes my breath away. These gorgeous pieces gleam with all the intense possibility and potential of the New Moon. Their chatoyant fire is completely mesmerizing. A plagioclase feldspar mineral with a triclinic crystal structure, this brilliant gem is found mostly in Canada and Madagascar. Labradorite is my go-to stone for new beginnings, as well as cosmic and spiritual rebooting. If you need a do-over, or if you’re setting intentions in the darkness of the New Moon, this is your gemstone ally. Like the Hermit in the Tarot, labradorite helps light the path, illuminating the night sky to help you see your way through challenges. I recommend working with this tool at New Moon. Close your eyes and envision your deepest dreams for the year ahead. Crystallize the vision of what you wish to create down to the finest detail, and imagine it as if it’s already happening in your life. Then, thank your guides and ancestors for their support, extinguish your candle if you lit one, and get ready for the magic to unfold. 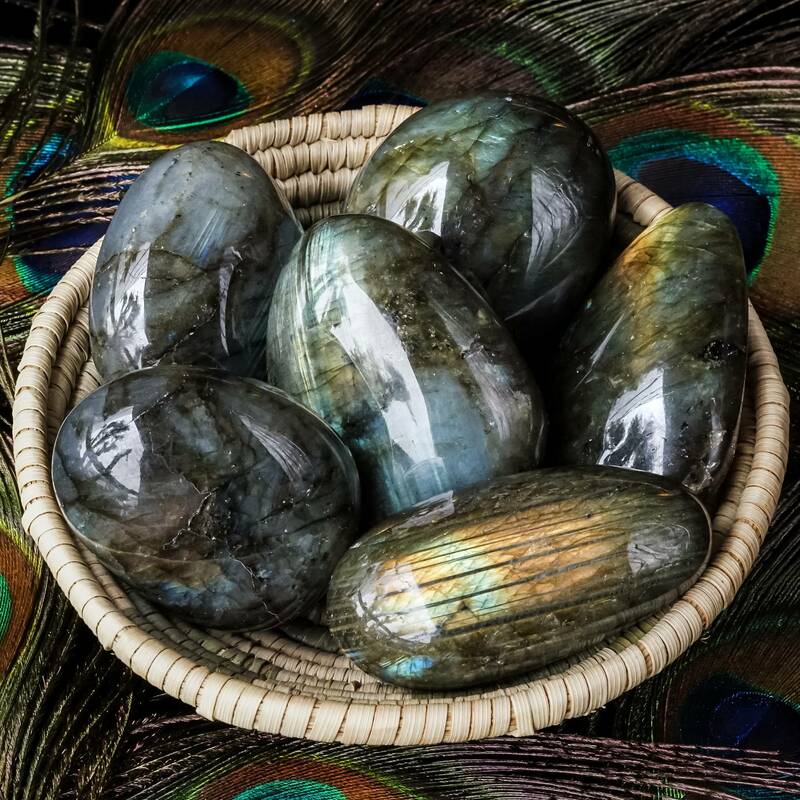 Once you start working with labradorite, you’ll wonder how you ever did magical and spiritual work without it. Keep it close by to remind you that even in the deepest darkness, there is always light. And it will find you. It will show you the way. This listing is for one A grade labradorite specimen, about 1.75” in size. Yours will arrive lovingly parceled along with a card explaining the properties of this stone. I couldn’t be happier with this Labradorite stone. It is full of flash and fire. feels great in my hand and pocket. Inspiring to see. Thank You Athena! The most beautiful labradorite I’ve ever had.